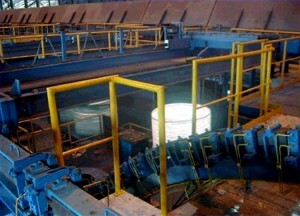 Bar-product coils undergo in-line heat treatment to suit the material’s micro-structural properties. Both accelerated cooling and retarded cooling are possible. Upon completion of heat treatment, coils are transferred to existing coil finishing equipment of a rod outlet for further working.